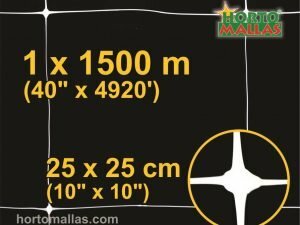 HORTOMALLAS tomato net helps the tomato plant support its stems, as this solanaceous needs some sort of trellis or tutoring. 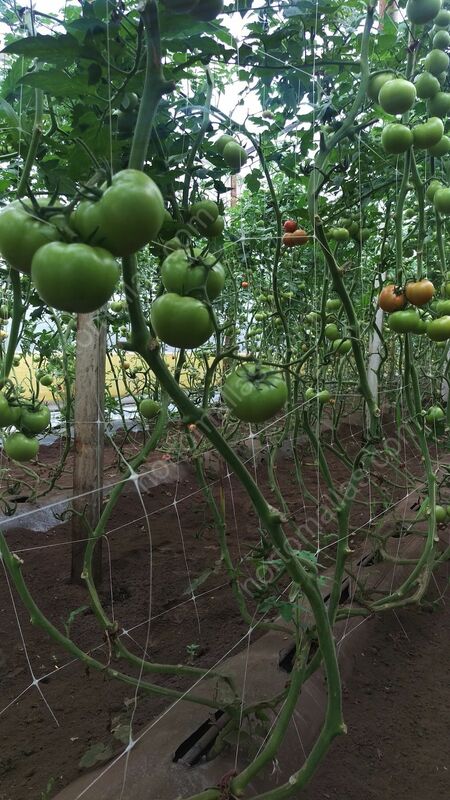 The most popular vegetable crop in the world are tomatoes, so it is no surprise that tomato net has become a key element of any grower of tomatoes produced for the fresh market. 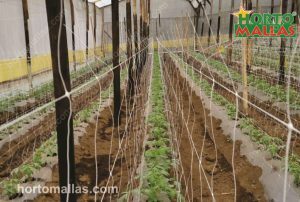 Tomato Trellis HORTOMALLAS reduces pathogens and plant stress. 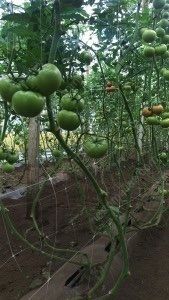 Tomato plants need some sort of support or tutoring, therefore a net that will hold its branches in place while growing and holding fruits is essential. 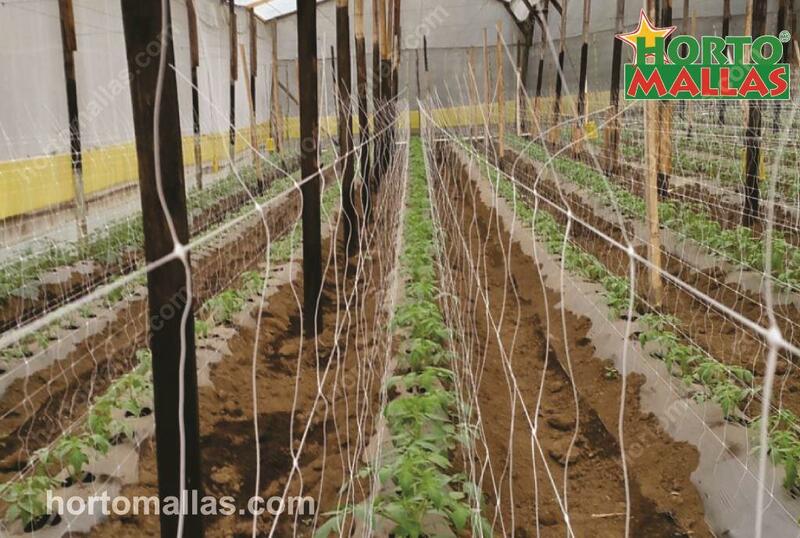 HORTOMALLAS netting allows the tomato branches to grow through the meshes and as the branch is weighted down by the fruit load being grown, the net intervenes as a support and prevents the plant from leaning to the ground and losing the fruit to rot and humidity. 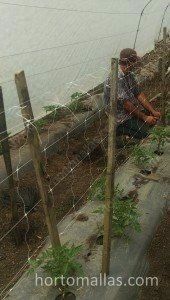 Installing trellis netting in tomatoes. 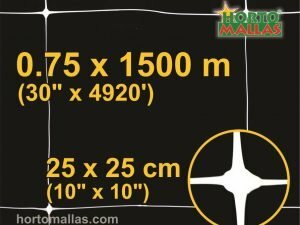 Solonaceae have been one of the most successful crops for HORTOMALLAS training systems. The best trellising or tutoring system for tomatoes (instead of the high labor and high disease transmission prone raffia) is a double wall net whereby the tomato plant is sandwiched between two walls of netting, one on each side of the furrow. This technique will avoid most of the labor contact needed otherwise to guide the plant with raffia twine: the tomato branches grow thru the netting, and as they become loaded with fruits they will start leaning on the meshes of HORTOMALLAS and be supported, unlike with the use of raffia on the high-wire cropping method where the peduncle will bend under the weight of the fruits and basically choke the fruits from receiving the needed nutrients. 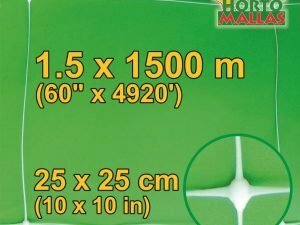 Reducingl mechanical plant stress by not touching the plant as much will also increase fruit production as the plant will not have to divert its resources to realign the leaves to the sun!